Some people like their kits nice, clean, and pristine, Others like them looking like they just got kicked down a hill. 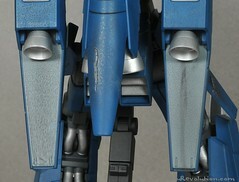 Weathering can add detail from the subtle to the extreme depending on your preferences. The best part is that it's extremely easy (and cheap) to do. It's also a lot of fun. There are many different ways to weather a kit. Here are just a few. 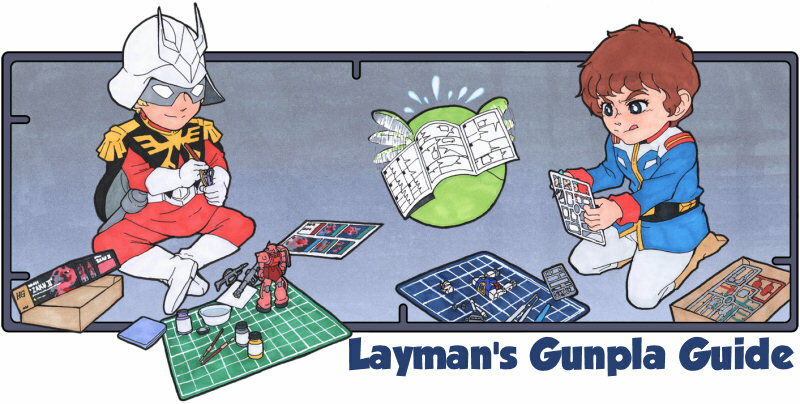 It stands to reason that if your gunpla is getting worn down, so would the markings. This part's easy. After you've fully applied your decals, simply scratch away with a toothpick. I think it adds character. Dry brushing is the perhaps the most prominent and useful weathering method out there. Proper application can result in effects ranging from heavy scratches to subtle shadowing. It has it's own page on the guide which I suggest you check out first. 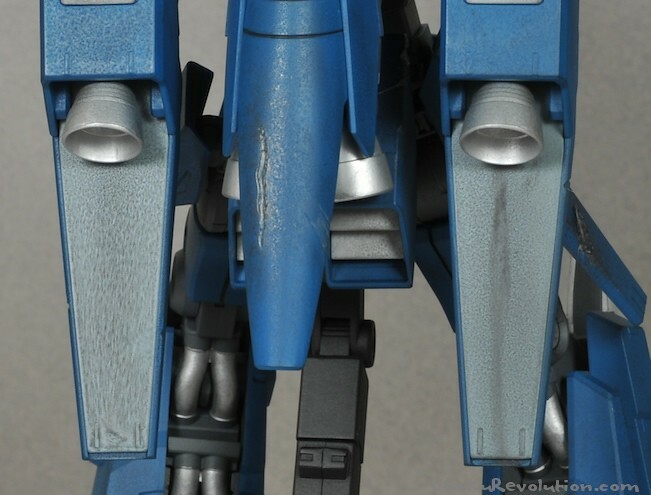 The basic tenant of multiple, light coats, is very important when it comes to weathering. It's easy to go overboard, and depending on what tools you're using, it's hard to reset. I suggest doing a little bit at a time until you reach the stage you're looking for. 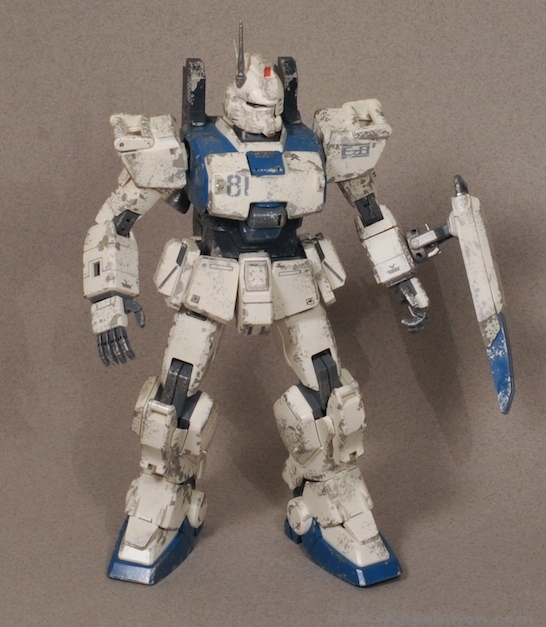 Nothing lets people know your mobile suit's been through hell like chipped up paint job. As I understand it there are two main ways to achieve this effect. While I've never tried it, the first requires a bit of work but seems to produce more realistic looking effects. The premise is simple, start with an underlying base coat, perhaps a rust or bare metal colored paint. After it has thoroughly dried coat the surface with some hair spray and allow it to dry. Now paint the kit with your exterior color of choice. Once that has dried you can go to town with a wet, stiff bristled brush or toothpick. You'll begin to chip away the outer paint revealing the bottom layer. You can read a bit more about the technique here. The results look stunning. A tad too much work for a lazy man like myself though. I like to use a sponge. It's quick, easy, and will only cost you next to nothing. 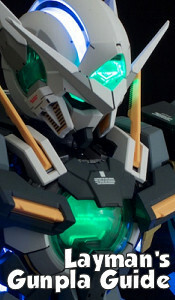 You can see more pictures of this guy here. The left side is what happens when you apply too much. 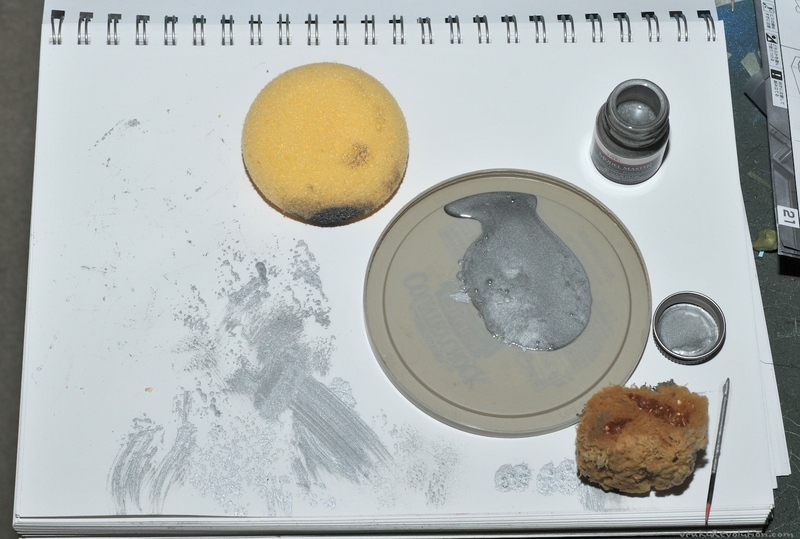 The right is how my kit looked after being hit with Testors. Step 6 - Repeat as needed. If your kit isn't dirty enough, go at it again. Some people are able to layer for fantastic effects. 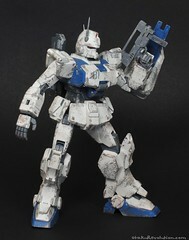 My ReZEL is an example (albeit too much) pastel weathering. 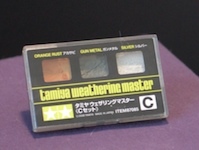 Tamiya has a line of weathering products that encompass pretty much every technique covered on this page. Their weathering sticks are, to my understanding, comparable to Gundam Weathering Markers. Their "Weathering Master Sets" are a mix of pastel weathering and water coloring. 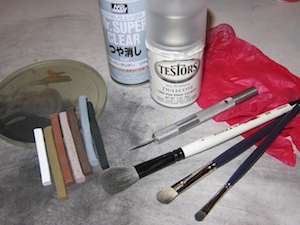 Each set comes with a little brush, that along with the pallet and a little bit of water, you apply to your kit. 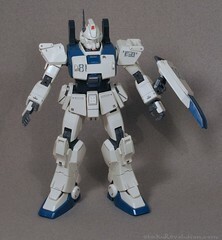 My old Hildolfr was finished using the Tamiya weathering kit pictured above. Using the weathering set was easy to use and I like how the it came out. I have nothing bad to say about it, nor have I heard any negative remarks from fellow modelers. 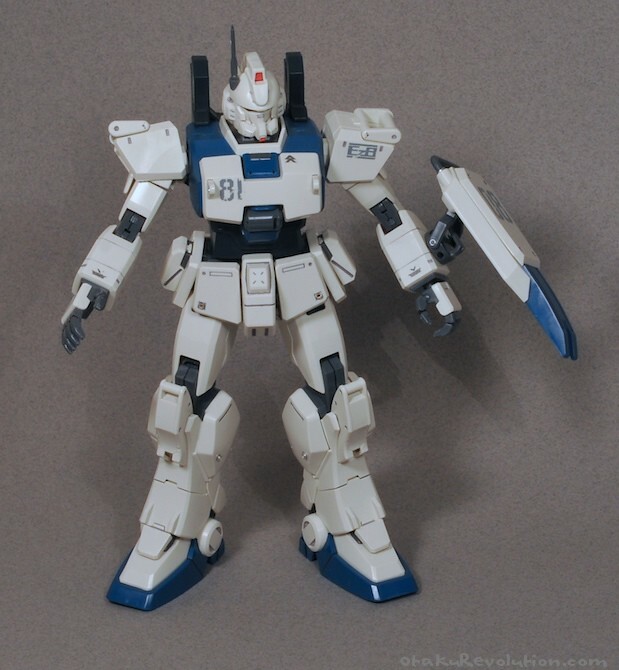 The one criticism I hear every now and then is that you're paying for kits when you could just do everything yourself (e.g. pastels). It's sort of an asinine argument. It's easy, it works, and looks great. Who cares? You can read more on their website. I decided to give battle damage its own page, check it out!